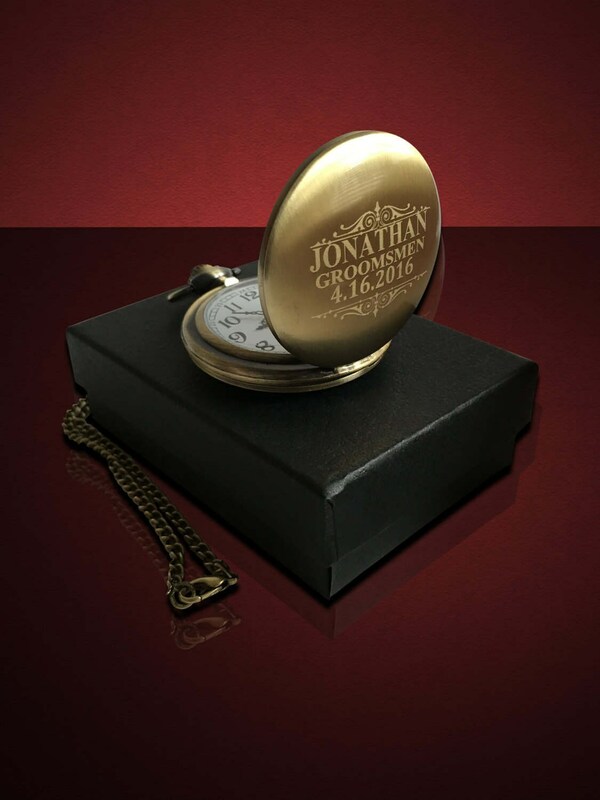 This listing is for 10 Custom engraved pocket watches, gift boxes included!! Available in Gold, Silver, Rose Gold and Black/Gunmetal. 10 Vintage style finished pocket watches. 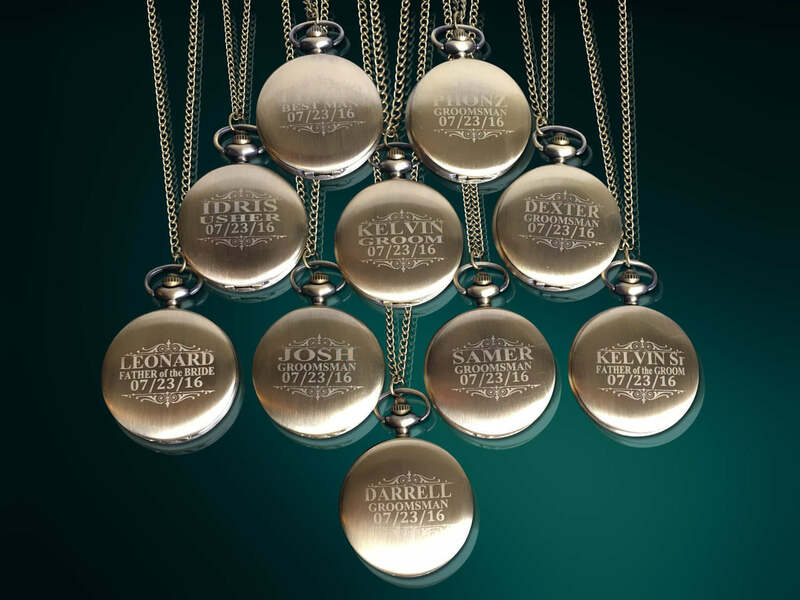 Chain and engraving included!! 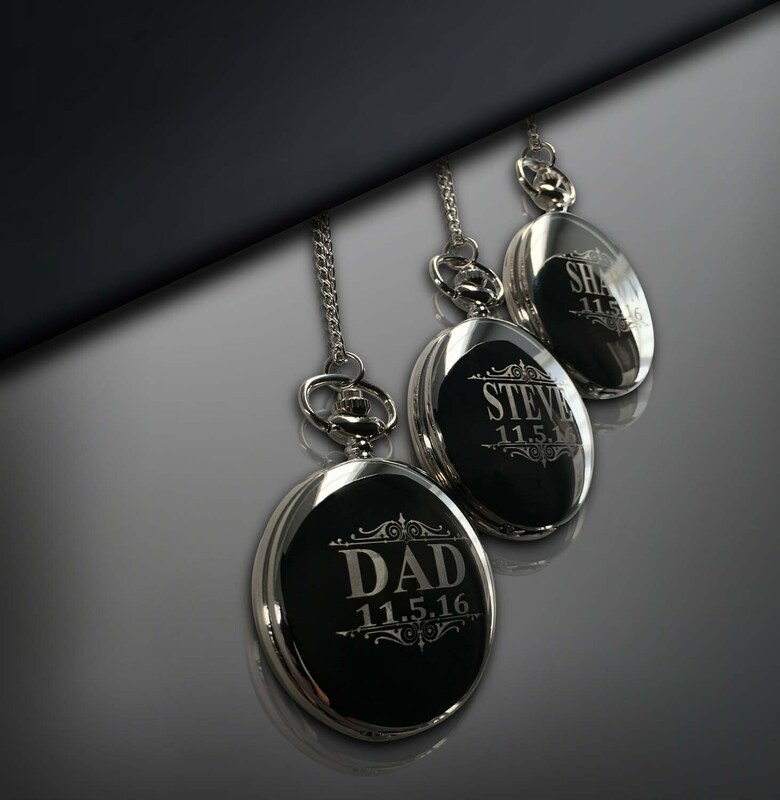 You can choose up to 3 lines to engrave on these pocket watches, or we can accommodate a short message or logo for you. If you are unsure your message will fit please message us. Logos and artwork accepted. 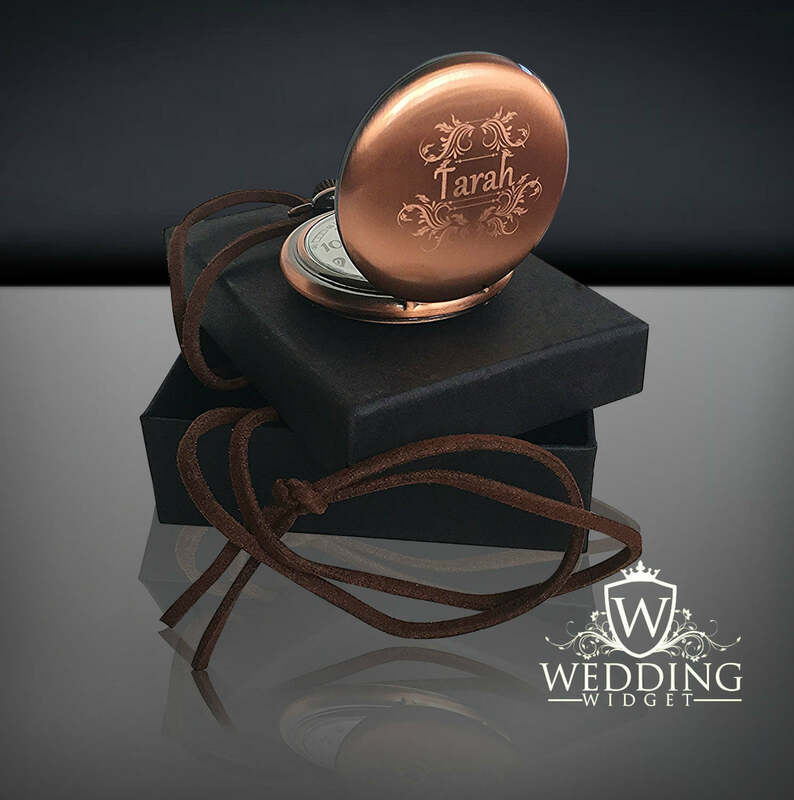 1) When ordering please write your details for engraving in the notes to seller or comments box when placing the order. 3) 2nd example on how to write it out: Pocket watch#1 Top line: SQAD, 2nd line: DOSKI, 3rd line: 1/1/16 Pocket watch#2... Filigree top and bottom borders are included in the design. 5 out of 5 stars "This was even better than I had hoped for. Great quality, fast shipping, and very affordable. Will be purchasing more in the future." Thank you for shopping at Wedding Widget, we appreciate your business.